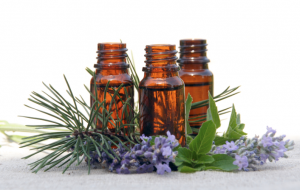 Which Oils Blend Well With Pine Essential Oil? Side-Effects Of Pine Essential Oil? I’m always surprised to find out about how long many essential oils have been in use for – and pine oil is one of the few that’s really stood the test of time. 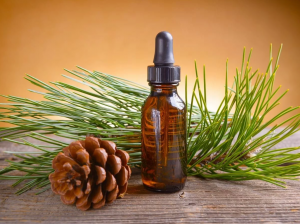 Since the times of the ancient Greeks, pine oil has been used to treat a variety of illnesses and ailments and was favored for it’s rich, woody aroma. Most of us have encountered pine trees regularly in our lives as they’re commonly used as Christmas trees. But other than being used as a festive decoration, the leaves of this tree can be utilized to produce an amazing essential oil. So don’t throw out your tree next Christmas – and think about investing in a small steam distillation mechanism as a gift. It’s the gift that keeps on giving. If you work out regularly then keeping a vial of pine oil in your bag is essential. It absorbs easily into the skin and can really help to relieve muscle and joint pains – but I’ll get into the nitty gritty details and benefits of this amazing oil later on in the article. If you’re interested in changing to a more holistic way of life, or are looking for more natural products to add to your healing arsenal, then pine oil is an essential addition. It’s readily available and very effective – ultimately though, the results will speak for themselves. But if you’re interested in finding out more about the oil before trying it out, then keep reading. The oil is derived from the needle like leaves of the pine tree. As I mentioned earlier, the oil is derived from the needle like leaves of the pine tree. Pine oil is not to be confused with pine nut oil – which is derived from the seeds of the tree. Pine nut oil is used more often in cooking and is not suitable for topical skin use as it has a higher comedogenic rating than the oil derived from the trees leaves. This means that it will block up your pores and leave an oily layer on the surface of your skin, which generally leads to blemishes. There are 3 main pine varieties that are commonly utilized in the distillation process, namely the Dwarf Pine, the Longleaf Pine and the Scotch or Norway Pine. To produce the oil, a process known as steam distillation extracts the various chemicals and bioactive compounds from the organic matter. First, the leaves of the tree are harvested and gathered into bunches. These are then placed in large vats which are filled with boiling water. The leaves are left to boil for roughly 5-6 hours. The heat breaks down the cells and helps to enable the extraction process. The steam produced by the heated water then extracts the phytochemicals and compounds found within the organic matter through the process of evaporation. Distillation through evaporation is a process that has been known to man since the time of the ancient Greeks. When Pliny, a famous historian, noted that seawater could be cleansed by the process of evaporation – the first method of distillation was born. Back in the present, the steam that was formed in the boiling vat (which now contains the chemical compounds of the organic matter) passes into a separate cooling chamber. Here, the steam cools and condenses to form droplets that eventually gather at the base of the chamber. As they gather, the droplets form a liquid which we know as the essential oil of the organic matter it was distilled from – in this case, pine leaves. Steam distillation is still one of the most popular methods of distilling essential oils because it produces a high quality oil with no additional chemical additives or impurities. Other methods may be cheaper (and produce a more cost-effective product), but they often make use of chemical solvents, hydrogenated petrochemicals and other nasty ingredients you wouldn’t want in your body or on your skin. So it’s always a good idea to inquire about how your essential oil was made, before buying it. Oils That Blend Well With Pine Essential. When it comes to blending essential oils – the possibilities are really endless. You’re really only limited to your imagination when it comes to the options at your disposal, but here are a few that work particularly well with pine oil in terms of scent and medicinal effect. 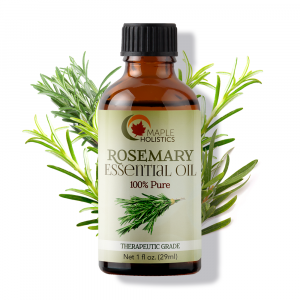 You can blend the oil with Rosemary, Grapefruit, Cedarwood, Coriander, Sandalwood, Thyme, Cypress and Lavender essential oils to help increase its effects as a medicinal treatment as well as to strengthen its aromatic properties. On top of this, blending pine oil with Almond or Coconut oil is highly recommended for continued use as it can be quite potent on it’s own. So by diluting it with a suitable carrier oil, you can utilize the oil more freely without having to worry about any side-effects or possible skin irritation. Pine essential oil is recommended by dermatologists because it’s a natural skin treatment. Free-radicals are something many of us have heard of and are something many of us are going to experience the effects of in our lifetimes, without even realizing it. If you don’t know what free-radicals are, then allow me to give you a brief run down. Little is really known about these molecules, but what is known is enough to raise anyone’s eyebrows. Free-radicals are molecules that form in our bodies through a variety of means. Some of these include excess exposure to the sun, consuming fatty or oily foods, general exposure to air pollutants, using aerosol based deodorants or hairsprays and by consuming certain medications. Once free-radicals enter the system, they bond with our existing molecules – even our DNA. Little is known about what triggers free-radicals, but once triggered they act like cancer cells and cause chain-reaction like damage to our cells. This leads to premature aging (wrinkles, sagging skin etc.) and can cause cell degeneration thus slowing the healing process with regards to wounds and scars. Pine essential oil is often recommended by dermatologists because it is widely acclaimed as an effective natural skin treatment. The oil is rich in natural antioxidants which help to capture and remove the free-radicals before they can do any serious damage when applied topically. It permeates the skin deeply and helps to flush out other toxins from your system as well. The oil is also a strong natural antiseptic and can be used to treat minor wounds and clear the surface of the skin of bacteria and germs. It’s a safe and non-irritant alternative to conventional disinfectants and can be used without the hassle of burns or skin discoloration that often accompanies most disinfectants. The oil works as a natural skin toner and can help to reduce the amount of oil on the surface of your skin. This is particularly helpful with regards to naturally oily skin types and combination skin types. Pine essential oil works to clear your pores of oxidized sebaceous oil and skin cells, helping to keep your skin free of blemishes like blackheads and the spread of acne or pimples. 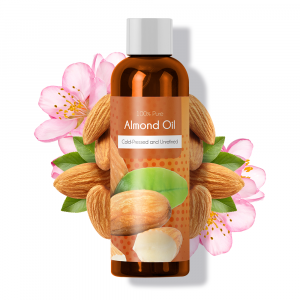 Finally, the oil also helps to stimulate blood flow which encourages cell and tissue growth, leading to a healthier overall complexion and smoother, softer skin in general. It’s a definite must if you’re looking for a healthier, more natural alternative to your current array of skin care products. It makes a wonderful addition to any facial routine. Pine essential oil is perfect for treating your scalp. Treating one’s hair is very similar to treating your skin, as your scalp is made of the exact same stuff. However, our scalp and hair follicles are generally quite sensitive and therefore need to be handled with a sensitive treatment as well. Pine essential oil is perfect for this as the same antioxidants that keep free-radicals from entering your system through the surface of your skin, help to keep them from permeating your scalp. This means that your can prolong your hairs natural health over a longer period of time with continued use, as well as keep your hair follicles stronger for longer. 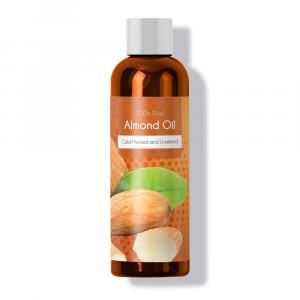 The oil also acts as a natural antimicrobial agent, which means that once applied to your hair and scalp, it can help to reduce the amount of bacteria that gather on the surface as well as prevent a buildup of germs over time. This means that it’s a great treatment for dandruff as it seeks to stop the problem at the source. By getting rid of the germs that cause inflammation and infection, you can help to prevent any further formation of dead skin cells on your scalp and ultimately reduce the signs of dandruff. As with your skin, the oil also acts as a great moisturizer and can help to nourish and moisturize the surface of your scalp. This is great for alleviating the symptoms of dandruff and an inflamed scalp as well as restoring your hair’s natural sheen and luster. It can also help to balance the oils in your hair and keep that at a controllable level, without stripping your hair of them completely. Most conventional shampoos are effective at doing this, but the high chemical content (in the form of parabens, solvents and other alcohol based reductions) generally remove all the oil from your hair and eventually strip the proteins for your individual follicles. Not to mention that with extended use, these chemicals tend to permeate your scalp and wind up in your bloodstream – which can lead to serious health issues further down the line. So making the switch to holistic products is essential to maintain a healthier body and head of hair. Pine oil is a great essential oil to use on your hair in its natural form, or even added to a natural shampoo recipe. The results will speak for themselves – and your hair certainly won’t disagree. Pine oil is an organic system stimulant and metabolic booster. Weight-loss is enough of a challenge on its own, and finding a natural stimulant to help you lose weight can be really helpful. If you have a naturally slow metabolism, then regaining weight is a common occurrence even if you watch your diet and exercise regularly. However, finding an appetite suppressant that doesn’t have long-term side-effects is quite a challenge. So, as an alternative I recommend looking into pine essential oil. Not as a natural appetite suppressant, but rather as an organic system stimulant and metabolic booster. The oil can be diluted in a teaspoon of coconut oil or add a few drops to a glass of lukewarm water (3-4 should do). Once the oil is in your system, it has a variety of effects. On one hand, the rich antimicrobial content of the oil helps to kill off and flush out any bacteria within your body and thus helping to prevent the development of infection as well as parasites such as worms – which can increase your appetite. Secondly, and most important with regards to increased weight-loss, pine essential oil helps to stimulate your bodies natural urine cycle which ultimately allows you to flush out excess toxins, fat cells, uric acid and fat cells from your body as well as excess water. This helps you to shed any excess weight and will ultimately boost your system, allowing your body to burn weight more easily. It’s important to stay away from most essential oils during pregnancy. Generally, pine essential oil is considered a safe and non-toxic alternative to most of the conventional skin and hair treatments available on the market – amongst its other uses. However, it’s always advisable to patch test the oil on your skin before applying liberally as you may have an allergic reaction to the oil – although this is rare. It’s also important to stay away from most essential oils during pregnancy, or to consult a doctor before using it. Even though they are natural products, essential oils are still rich in phytochemicals and may have an adverse effect on your unborn child or the birthing process. The basic rule of thumb is to use pine oil (and other oils) in regulated, controlled doses as too much of a good thing can have a negative effect on your overall health. Otherwise, we highly recommend pine essential oil as a safe, natural remedy for a variety of ailments. 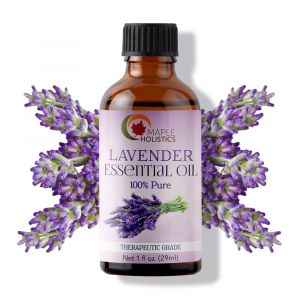 Learn about Lemon Essential Oil, Sensual Massage Oil and Apricot Oil at Maple Holistics! In conclusion, pine essential oil has been used as a natural remedy for hundreds if not thousands of years. The effectiveness of this natural cure-all lies in its rich content of phytochemical and bioactive compounds which make it suitable for treating a wide variety of ailments. 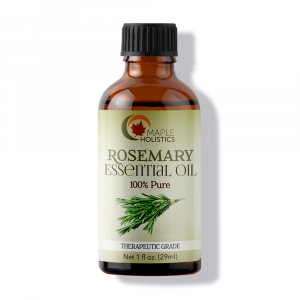 You’d be hard-pressed to find a minor skin, hair or general health issue that this oil cannot treat, or at least aid in treating. Because pine needles are readily available throughout most of the year and the demand for pine oil is quite high, it is produced on a regular basis and is therefore quite cost effective. In fact, using pine essential oil (and other essential oils for that matter) can save you loads of cash in terms of costly medications and doctor’s appointments on an annual basis. So if you haven’t made the shift to a more health-orientated lifestyle yet, or are simply looking for more additions to your collection of natural products and treatments – then I’d highly recommend adding pine oil to your list. As I said before, the results will speak for themselves.